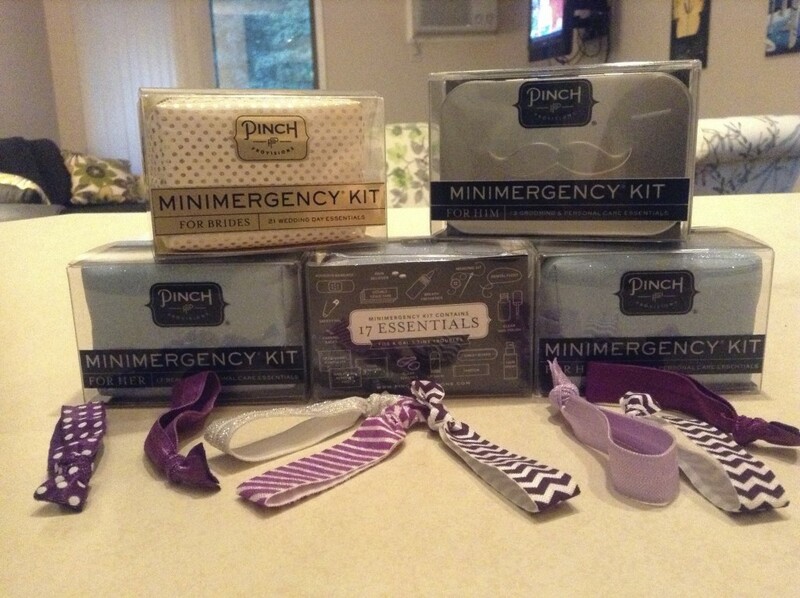 Instead of buying individual container’s of Advil, I’ve been in love with Pinch Provision’s Mini-Mergency kits since I’ve first spotted them at J. Crew. They’re no bigger than a small potato, but they’re stocked with 21 things, including Advil, band aid’s, and breath mint’s. 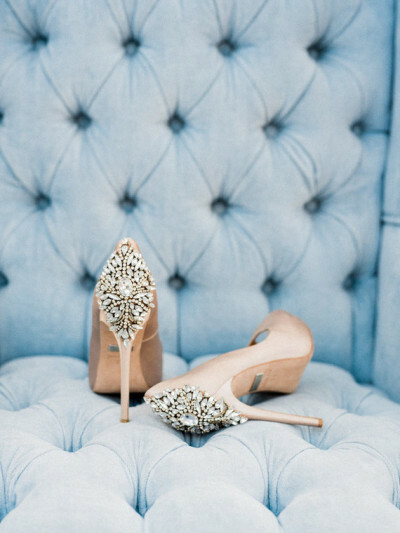 To suit the array of guests in attendance, they also feature a special Bride themed one, and most importantly, one for men! For the rest of the guests, I chose a glittery blue kit to match the sparkly diamond’s that were a part of the paper chain. 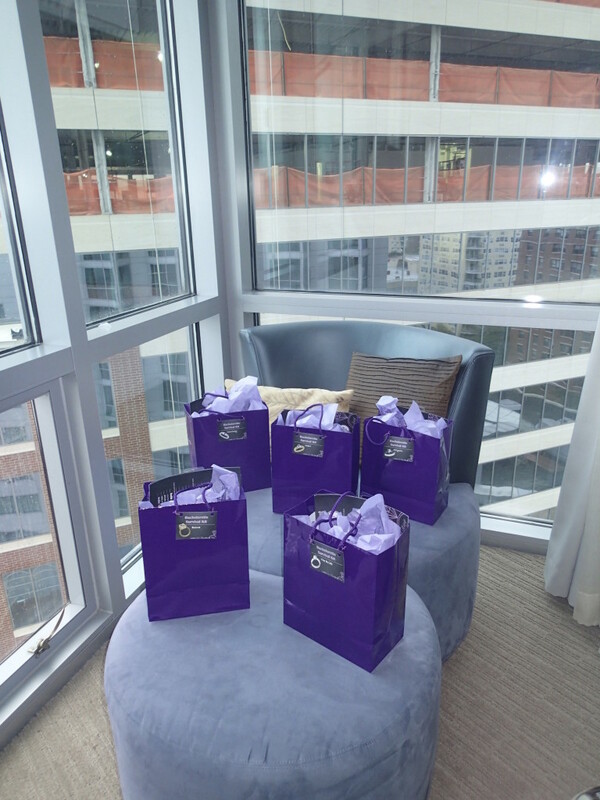 All of the ladies also received purple hair ties, useful for holding back their hair while they applied makeup or for the morning hangover. 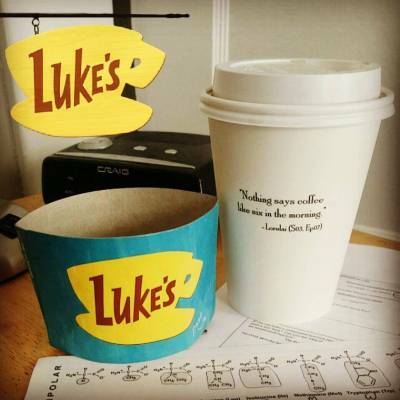 As a special touch, each guest also received a personalized coffee tumbler, to be used either the night before for drinking, or the day after for rehydration. 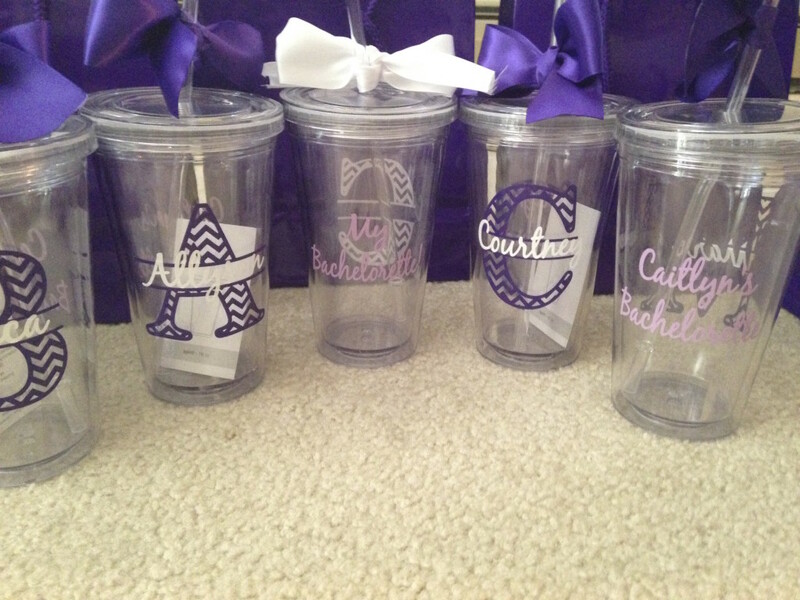 They were personalized with each guest’s name and ‘Caitlyn’s Bachelorette’! 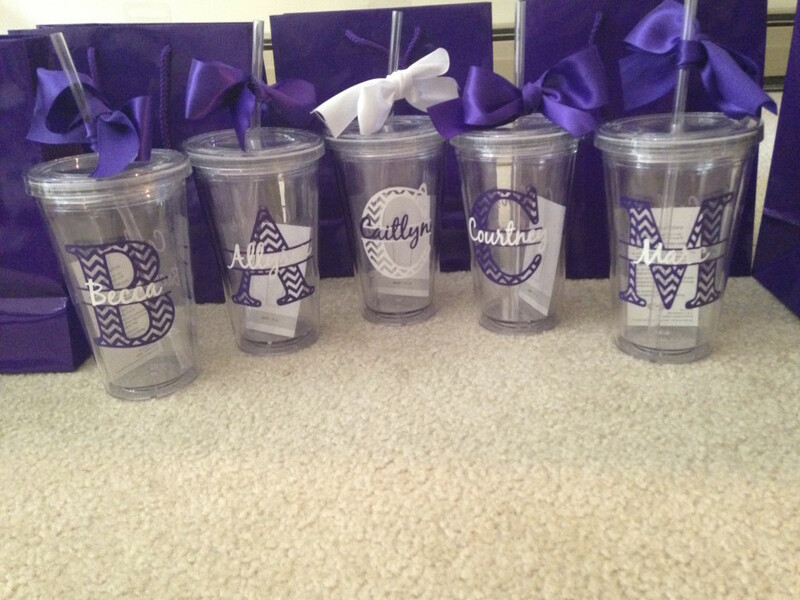 Of course, I requested that Caitlyn’s say ‘My Bachelorette’! 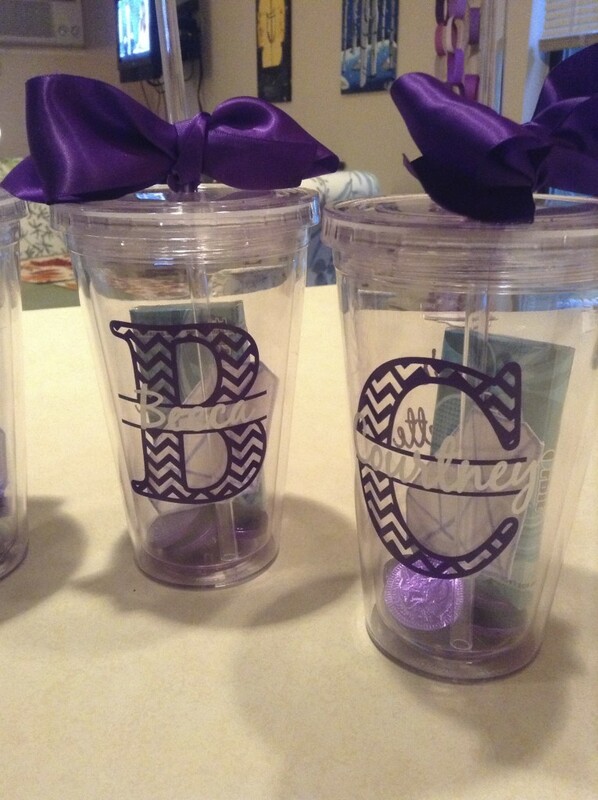 Tucked into each tumbler was a sparkly diamond cutout, a pack of gum, and amazing personalized bachelorette party tattoo’s that would help to identify us as a group. In a weird twist of fate, one of the guests suffered from pittakionophobia, a fear of sticky labels, and was physically uncomfortable with putting the tattoos on herself. I think only a small amount of people suffer from this fear, so don’t be discouraged from having tattoo’s at your own bachelorette party. Be sure to check out Pt.’s 1, 2, and 3 for details about the itinerary, decorations, and games!